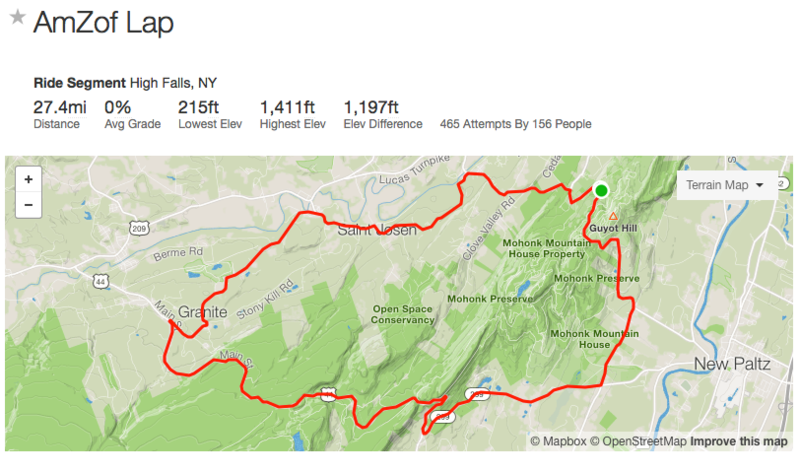 Three distances of duathlon racing in the beautiful Catskill Mountains with breathe taking views and challenging mountain elevations on the bike and run courses. The Mohonk Preserve offers a mixture of single track and carriage trail running with a beautiful Adirondack style pavilion filled with spectators, a massive amount of food, drinks, laughter and stories of pain from the day all overlooking the mountains. This epic race with three distances is held in the Shawangunk Mountains with running on single track and carriage trails through the woods. The bike portion goes over some of the most beautiful and difficult mountains. The starting line is Upper 27 Knolls Rd, Marbletown, NY. The starting line at Marbletown, NY is about two hours north of New York City along I-87 and just over an hour south of Albany. Please be sure to check travel times in advance to make sure you're there for the race registration and start. Spectators are welcome and encouraged to cheer on the competitors! Where do I find my race results? - Look on the organizer's official website after the race to find your times. How was American Zofingen Duathlon?